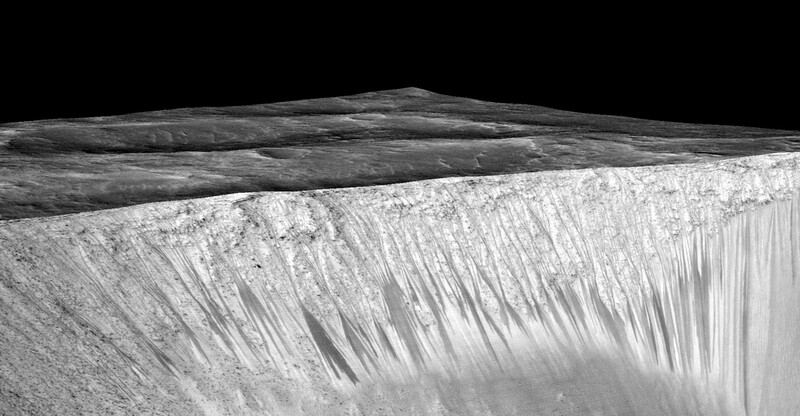 September 28, 2015 – New findings from the Lockheed Martin-built Mars Reconnaissance Orbiter (MRO) provide the strongest evidence yet that liquid water flows intermittently on present-day Mars. 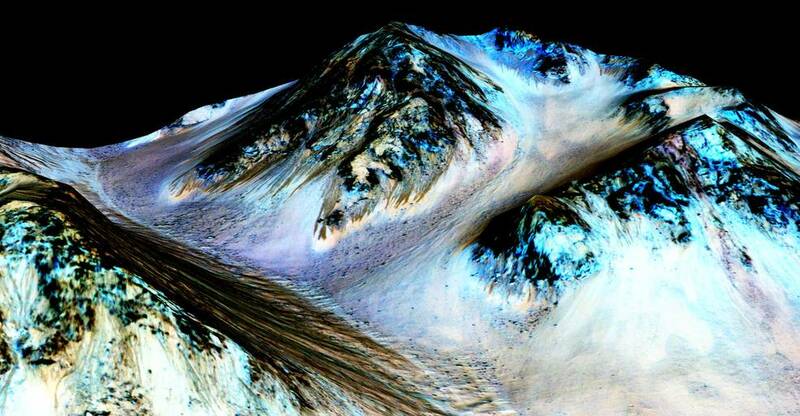 Ojha first noticed these puzzling features as a University of Arizona undergraduate student in 2010, using images from the MRO’s High Resolution Imaging Science Experiment (HiRISE). HiRISE was built by Ball Aerospace in Boulder, Colorado. Observations from HiRISE now have documented RSL at dozens of sites on Mars. The new study pairs HiRISE observations with mineral mapping by MRO’s Compact Reconnaissance Imaging Spectrometer for Mars (CRISM).